DotDash was formerly about.com, and now they have multiple services depending on your needs. Its affiliates are as follows: Verywell.com, TheBalance.com, Lifewire.com, TheSpruce.com, TripSavvy.com, and Thoughtco.com. These companies are all owned by about.com. 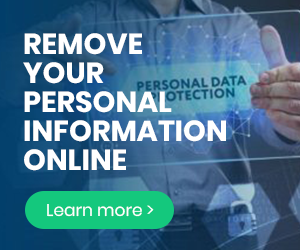 DotDash collects some personal information you may provide them, such as name, contact information (like email address), date of birth, and more identifiable information about yourself. This information is used when you sign up for their newsletters, sweepstakes, participate in contests or other promotions. Any information you share while on their forums, taking surveys, or participating in discussions is considered public so you should not use sensitive information. When using DotDash’s websites, some information is automatically collected, such as IP address, operating system, browser and system settings, data about your computer or mobile phone, device identifiers, and information about what websites you have viewed. Provide information, products, and services when you sign up (for example, a newsletter). Send you promotional offers for your interests. Provide user support and customer care. Show you other websites relevant to your interests. Customize information they share with you, such as features or advertisements. Research and analyze data relevant to their websites. DotDash collects some information through cookies, web beacons, pixel tags, third-party websites, and similar technologies. They do not support Do Not Track settings in your browser. DotDash’s services are for ages 13 and older. Anyone under 13 is advised to not use their services or give their personal information to them. They also provide jobs for many different talents, including freelance ones. Use your browser to block cookies. Change options with third-party websites. Not accessing their website via mobile phone.